A competitive swimmer since the age of six, Lee Zohlman quickly learned the value of hard work and that all the little things add up to success. At the age of 24 Lee immersed himself into the endurance sports world and quickly found success. Whether rock climbing, mountaineering or completing in Ironman triathlons he has always known that with a solid plan and attention to detail there will be success. Lee has taken these core principles and used them to build two massively successful businesses. 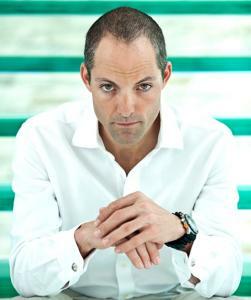 As founder and Lead Coach of BodyZen, Lee has elevated himself to the top of the triathlon coaching profession by being one of the very few Elite Level Three certified coaches in the world. Lee has coached and advised some of the world’s top Olympians and Ironman champions. Lee has worked as a consultant for Leukemia Society and Team to End Stroke. He is also a supporter of Best Buddies International and was a charter member of the South Florida Triathletes. Lee still cycles, runs and stays fit while spending as much time as he can with his wife and daughter, teaching her that the little things do add up to success. Success. Coach Lee A Zohlman has been notified of your message.